‘Assassin’s Creed Odysessy’/UbisoftThe open world of ‘Assassin’s Creed Odyssey’ is huge, but not always impressive. “Assassin’s Creed Odyssey” launched on October 5th for Xbox One, PlayStation 4 and PC. It’s the 11th game in the flagship franchise from publisher Ubisoft. 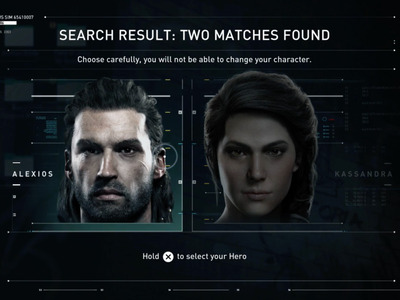 Set in ancient Greece, the game lets you choose between a male or female protagonist for the first time in “Assassin’s Creed” series history. “Assassin’s Creed: Odyssey” is the first game in the series I’ve ever put any serious time into, and yet, it feels like I’ve played it before. “Odyssey” takes lots of cues from other big-ticket action games, fully adopting a huge open world and RPG mechanics that have become standard for the genre. But there’s not much that sets the game apart from its competition. “Odysessy” is the 11th “Assassin’s Creed” game in the same number of years, without counting the spinoffs for handhelds and mobile devices. In some ways, the lack of identity in “Odysessy” seems intentional; newcomers to the series like myself don’t need any prior story knowledge to start playing. The game picks up in ancient Greece and spends the opening hours largely ignoring the science fiction/time-travel elements that tie the series’ story together. ‘Assassin’s Creed Odyssey’/Ubisoft‘Odyssey’ is the first Assassin’s Creed game to allow you to pick between a male or female main character. In lieu of relying heavily on old plot points, the game focuses on the story of its protagonist. 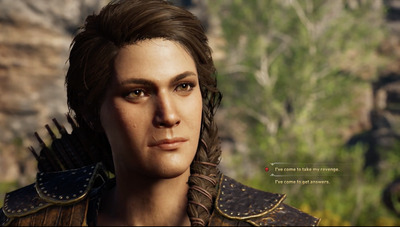 Indeed, “Odyssey” is the first Assassin’s Creed game to let the player choose between a male or female main character, Alexios or Kassandra. Both have their own voice acting and will garner some different responses from other characters in the game’s open world. The main character begins the game as a mercenary on the island of Kephalonnia, but the world quickly expands to involve more than 30 nation-states. Odysessy builds on the gameplay of the last Assassin’s Creed game, “Origins,” which was released less than a year ago. “Origins” revamped the series’ combat mechanics in favour of a more straight-forward hack and slash style and introduced traditional RPG elements like character levels and item crafting. While the mechanics should be familiar to anyone who has played a single player action game in the last five years, they continue a departure from the gameplay of the early Assassin’s Creed games. 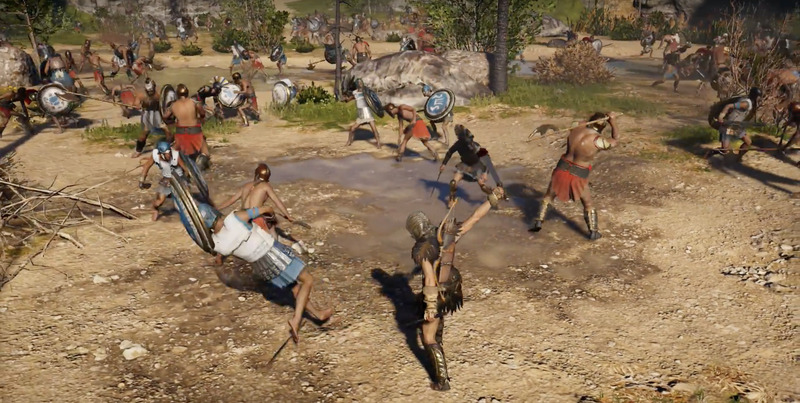 ‘Assassin’s Creed Odyssey’/UbisoftCombat in ‘Odyssey’ ranges from open field battles to solo stealth missions, all using the same mechanics. As a result, there’s not much about “Odyssey” that feels exceptional. The combat is mostly fine, despite some weird targeting issues. The RPG elements ae serviceable, but will occasionally force you to grind side quests to avoid being killed in one or two hits by an enemy that’s a few levels higher. 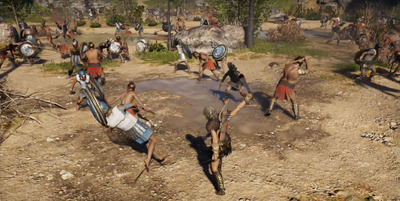 “Odyssey” certainly doesn’t suffer from a lack of content, featuring dozens of side quests, unique enemies, and mythical creatures spread across the Greek states. Each area is full of life, with warring leaders and political undertones driving interactions with civilians, politicians, religious cults, soldiers and bandits. The player’s actions have tangible consequences in the story, which helps add some meaning to a campaign that lasts more than 30 hours. Outside of certain poignant moments with specific characters, it’s not particularly memorable. ‘Assassin’s Creed Odyssey’/UbisoftSome dialogue options will determine if a character lives or dies in the story. What’s left is the grind. Players who want to complete everything the game has to offer can easily play for 50 or more hours, which is a lot of value for the $US60 base game. Having a huge variety of equipment to alter your character’s appearance makes the grind for new items less boring, but add to the lack of identity as your character will likely shift between dozens of outfits to best fit your current scenario. 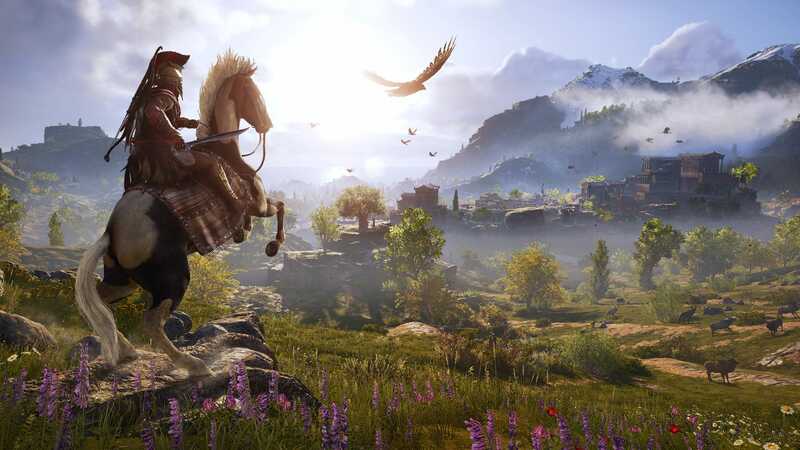 Ultimately, “Assassin’s Creed: Odysessy” feels like a baseline for the AAA-quality adventure genre, or the video game equivalent of a summer blockbuster. For gamers who are satisfied investing 50 or more hours into a single player game to unlock everything, “Odysessy” wont disappoint. On the other end of the spectrum, those with little experience in the adventure games should find “Odysessy” accessible. But overall, “Odyssey” feels somewhat uninspired and doesn’t really push the boundaries of what these kinds of games can accomplish.